This Trip Around the World Wall hanging is hand quilted by an Old Order Amish woman in her home. The fabric choices are traditional Amish colors such as black, red and blues. The back of the quilt is also done in the black fabric. 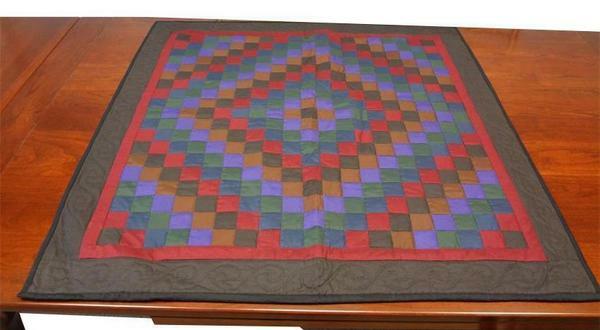 There is hand quilting done around the border in a swirl design.